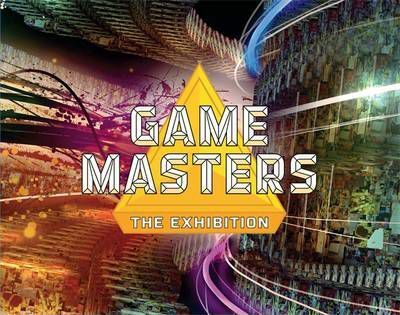 Game Masters is an exhibition opening at Te Papa on 15 December 2012 and running until 28 April 2013. Exclusively available from Te Papa Press in NZ, in both print and ebook (via iTunes), this catalogue gives an inside view on the art behind the world's biggest entertainment and creative industry. Videogames may well be the defining medium of the 21st century. Once exclusively an obsession of visionary technocrats, then a plaything for a mainly young, male audience, gaming has spread through arcades, personal computers, consoles and finally mobile devices, and today reaches a vast and multifaceted fan base. Game Masters explores the iconic games of the past 40 years and celebrates the phenomenal minds that brought them to life. Game Masters reveals both the artists and the artistry behind your favourite videogames. Featured designers include the creators of such legendary games as Space Invaders and Pac-Man; through to modern favourites Rock Band, SingStar and Flight Control and Real Racing. It showcases the evolution of games across four decades and the designers and developers who imagine them. It portrays the painstaking design processes behind their creation. Game Masters / Conrad Bodman -- Arcade Heroes -- Game Changers -- Indies -- The Arcade Era / Christian McCrea -- New Voices: Independent Games / David Surman -- Mods and Museums: Gaming the Future of Art and Institutions / Helen Stuckey.